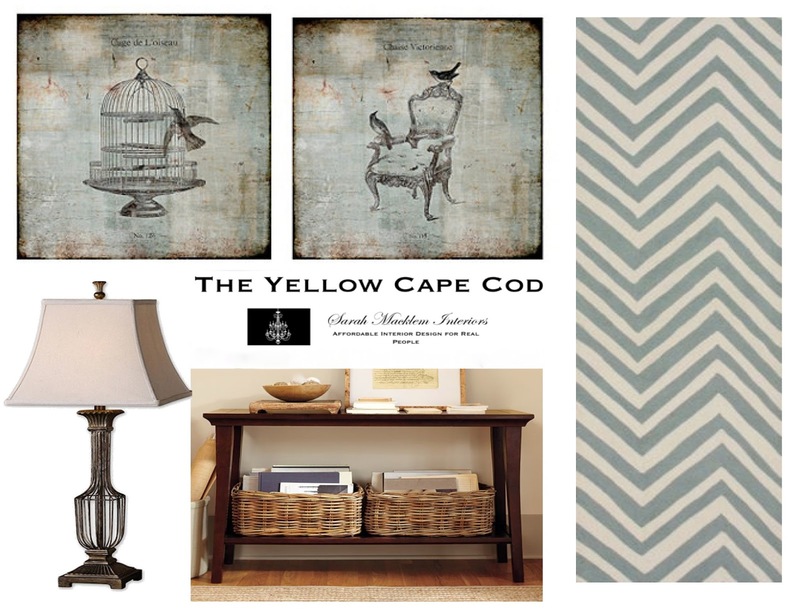 It's been a little nutty at The Yellow Cape Cod this month. My travels to Denver, Northern Michigan, Atlanta and New Jersey felt like a whirlwind. I'll be catching up with clients, delivering brand new design plans and returning emails over the next few days. Kim's living room, foyer and dining room are adjacent to one another. We wanted each of the three spaces to have it's own function and flavor while complimenting eachother. 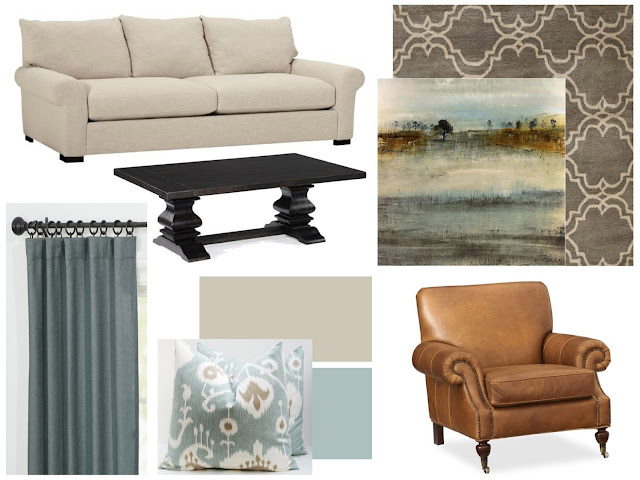 We accomplished this by using a common color palette of blue, turquoise, gray and camel. Dark wood tones found in the floors and furniture throughout the home provide contrast and ground the light color scheme. In this three room design board you can see how the spaces work with eachother even though they have their own personality. Patterned rugs, art and fabrics allow each space to have it's own flavor while the common palette ties them together. 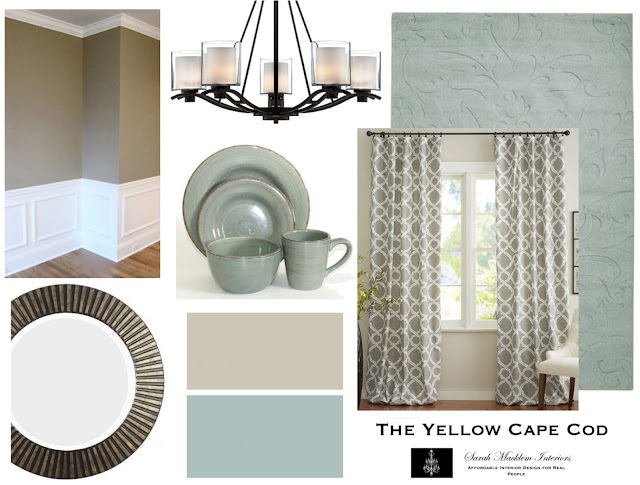 Along with this design board, Kim also received three true to scale floor plan illustrations, a complete product source list (including specific paint color recommendations) and a step by step plan on how to implement her new design. If you would like information on my online design service, please click here. I have openings for new projects now. Thanks for stopping by. Such calm and soothing colors. Love it! Sarah I love the sofa in your inspiration photo... where is it from? Love the gray paint color! Can you please tell me the name of this color? Love the design! Can you please tell me where the artwork in the living is from?